License Application Review – As a former licensing official, Attorney Guida reviewed and approved over 2,000 license applications every year. He knows what licensing officials are looking for on an application and the mistakes that applicants commonly make. Contact Attorney Guida before you file your resident or non-resident license application. Let him put his knowledge and experience to work to get you the license that you want for the reason that you want. 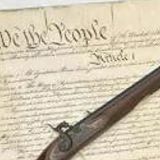 Firearms Licensing Review Board Petitions – You only get one chance to ask the Board to restore your right to possess a firearm. Don’t go it alone! Attorney Guida served as Counsel to the Board for over 4 years. His clients rely on his experience to guide and support them through every step of the review process. If you have a minor conviction on your criminal record, contact Attorney Guida today for help. License Denials, Suspensions and Revocations – Every moment you wait to appeal a license denial can limit your options and affect your rights. Attorney Guida is an experienced litigator and an expert in firearms licensing law. He has built relationships with licensing officials and can often achieve a favorable result without going to court. If your license has been denied, revoked or suspended, don’t delay – contact Attorney Guida today. Criminal Record Corrections – If an old criminal record is keeping you from getting your license, you need a firearms attorney with experience in the criminal court system. Attorney Guida is that attorney. As a former prosecutor, Attorney Guida knows the rules and procedures that are used to correct errors and update criminal records. Attorney Guida will follow through with the licensing authority to ensure that an incorrect criminal record does not prevent you from getting your firearms license. Restriction Appeals – License holders are often surprised and frustrated to find that their license has been restricted. While the firearms laws allow for restrictions, many times the restrictions do not meet the needs of the applicant. Attorney Guida wrote the restriction policy most commonly used by licensing authorities. He knows how to make a proper showing of need to remove a restriction and get the license you need. You do not have to settle for a restricted license – contact Attorney Guida to discuss your options. Licensing Delays – How long should you wait for a firearms license? 2 months? 6 months? A year? If you have been waiting more than 40 days, your rights may be affected. Don’t wait any longer than you have to – contact Attorney Guida today. I need help filling out application for ccw and afraid of making a mistake. I do have some criminal history but am not a felon. Hi, I had a continued without a finding for bringing contraband ( 1 suboxone) into a prison. I did 6 months probation supervised and 6 unsupervised. I just want to know if I can still get my LTC? I was going to wait a year and then try, not sure if I would be better off getting a lawyer to help. But just want to know before I start taking classes.